1). Competitive price and customizing :we manufacturer’s products are directly exported to buyers without the trading company in China. we can design and produce the unique loaders and accessories just for specail need. Such as changing the cabin and appearance, the bucket volume,the fork length,and the Max. dump height and so on. 2).Exclusive Patent:6 proprietary technologies are applied in our loaders make them more fuel-efficient and safety. 3).Details in Structure: Besides the special design of structure, full steel plate thickening, the thickness of lift arm and hinge plate reaches 60mm. Bigger hinge pin and hinge bearing raise the carrying capacity, machine more powerful. The exclusive dust-proof layer and sealed articulated points make the loader more durable. 4). Novel appearance and humanized design: cabin with broad view. Single(double)-handle pilot control system, electronic control gearshift to ensure easy operation and more comfortable. 5). Hydraulic systems: To adopt confluence of double pumps and equivalents unloading hydraulic systems, rational use of engine power, reduce energy consumption effectively. Independent transmission oil and hydraulic oil cooling improve the hydraulic system stability. 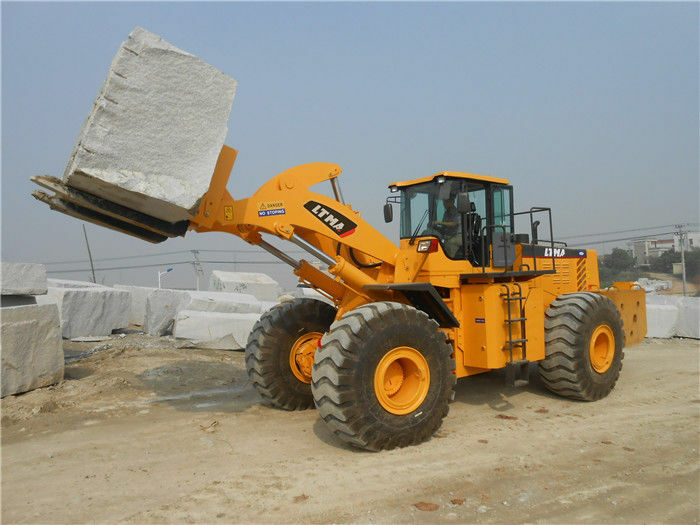 LTMA Machinery Group co.,ltd which was established in 2001,is a leading manufacturer of construction and material equipment. LTMA Machinery Group owns two manufacturing factories. 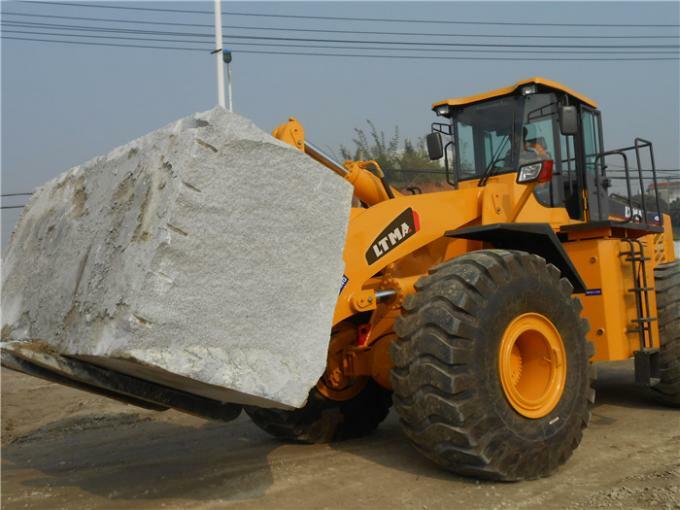 The wheel loader factory locates in Xiamen City and the forklift factory already have 15,000 units forklifts annual production capacity with a 120,000 square meters production base.